This Monitor Stand that Ships with an Included Power Strip Keeps Electronics Neat and Orderly! 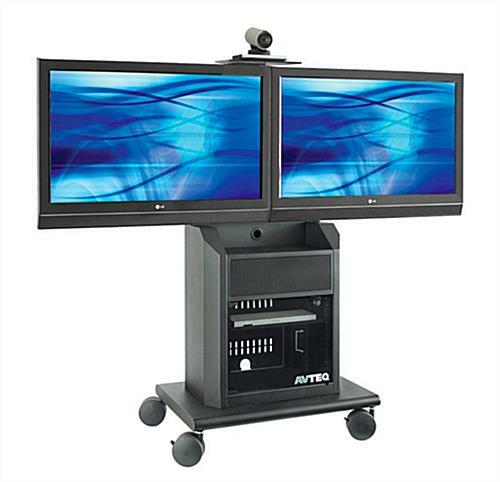 The Rack Mounting Design Securely Fastens A/V Equipment for Safe Transport! 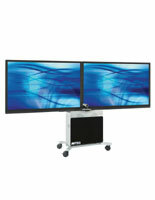 This monitor stand that can showcase (2) televisions together is able to fit screen sizes up to 55" in width. 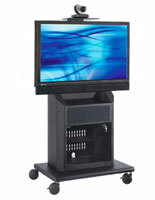 The audio visual display features a dual bracket design with both pull handles and 5" high casters for the smoothest ride. 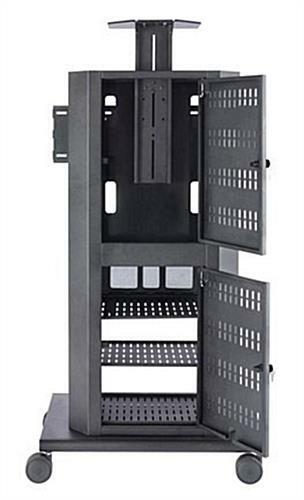 The monitor stand that provides storage for additional AV peripherals has a cabinet with 9RU (rack units) of mounting space. The front of the compartment has a tinted, tempered glass door that locks to protect against tampering and theft. 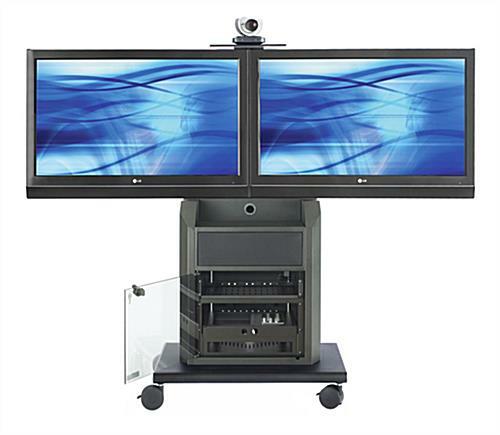 The monitor stand with a camera bracket takes complicated tasks, like video conferencing, and simplifies them for every user. 54.0" x 60.5" x 23.5"
19.0" x 15.8" x 15.0"